John looking dapper with the FRFuggitvi capper. 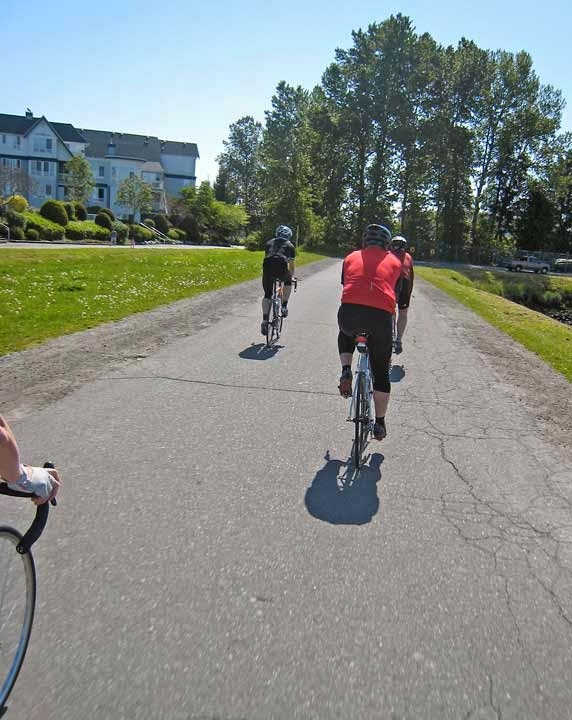 Today's forecast looked encouraging for our FRFuggitivi ride out to Steveston. For heavens sake - it's May and another weekend of rain is out of the question. 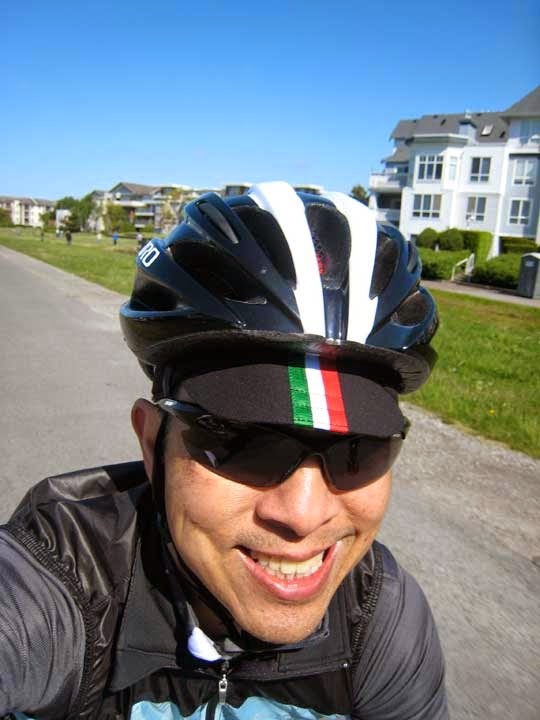 It started out cloudy but soon cleared as John, Guy, Mat, Patrick and yours truly enjoyed a beautiful Sunday, riding through scenic Steveston. 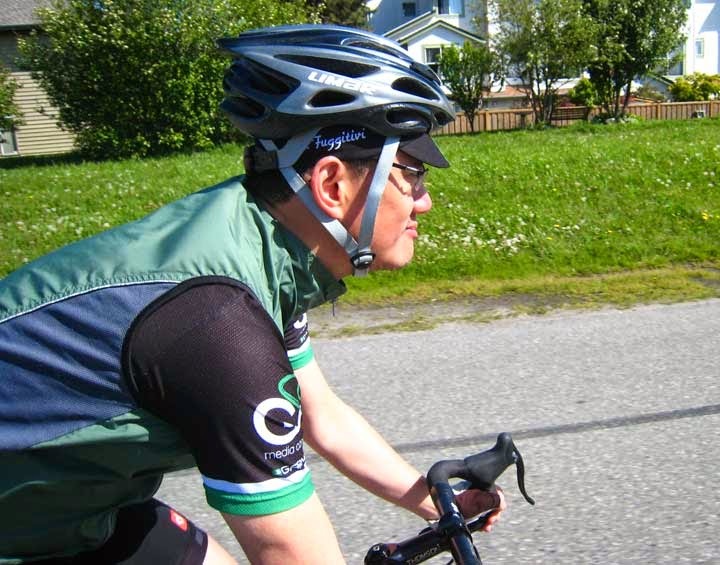 Mat ordered his custom FRFuggitivi cycling cap - it will take about a week then he will join us looking Italian cool. 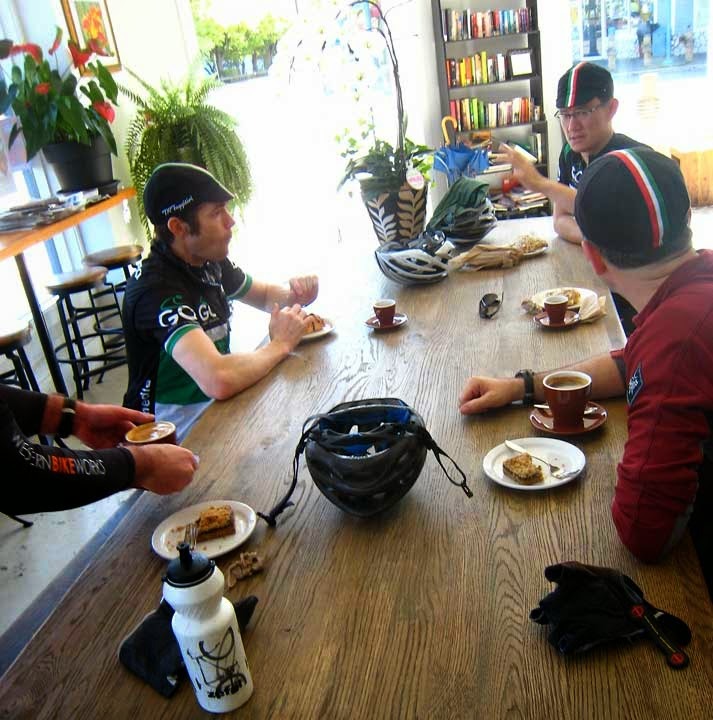 Was it our Italian theme cap (coinciding nicely with the Giro d'ltalia), the espresso, or the beautiful day that motivated us? All of the above.... I'm looking forward to our new season! Not Steveston but Vancouver: home of the first ever? 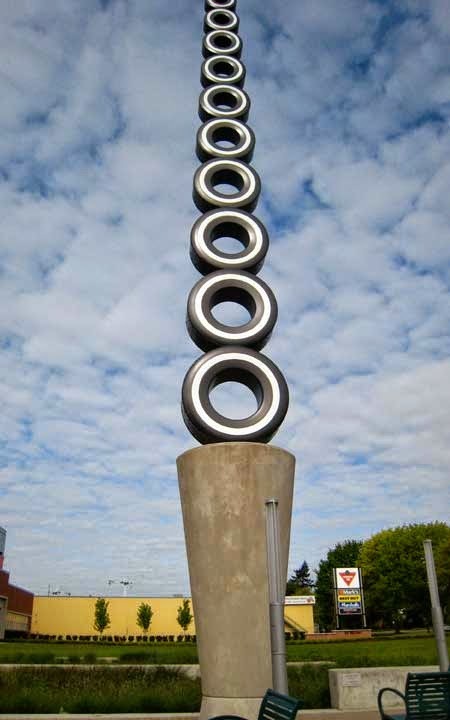 Canadian tire sculpture. Thanks and well done Ross!